TMR Coaching provides bespoke coaching packages and training plans for some of the toughest events on the planet. Specialising in endurance events from triathlons to ultra marathons and sportives, we have the right package to suit your training and racing requirements. Doug is an extremely experienced endurance athlete and coach. He has completed multiple ultramarathons, Skyrunning races and extreme triathlons, such as Celtman, Swissman and Swedeman, as well as Ironman and Half Ironman triathlons. 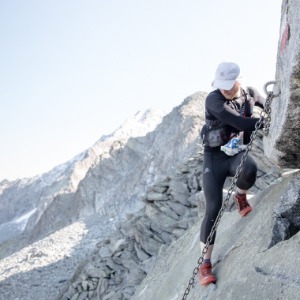 His list of ultra marathon is extensive, having finished iconic races such as the Lavaredo Ultra Trail, Grand Trail Des Templiers and Transvulcania, as well as Skyrunning races including Trofeo Kima, Glen Coe Skyline and Tromso Skyrace. His passion is in helping others achieve their goals, and supporting them on their journey. IRONMAN Certified Coach, English Athletics and British Cycling qualified. Get in touch to discuss your training requirements. Success. Coach Doug Stewart has been notified of your message.